Microsite, email process flow and associated goodies. 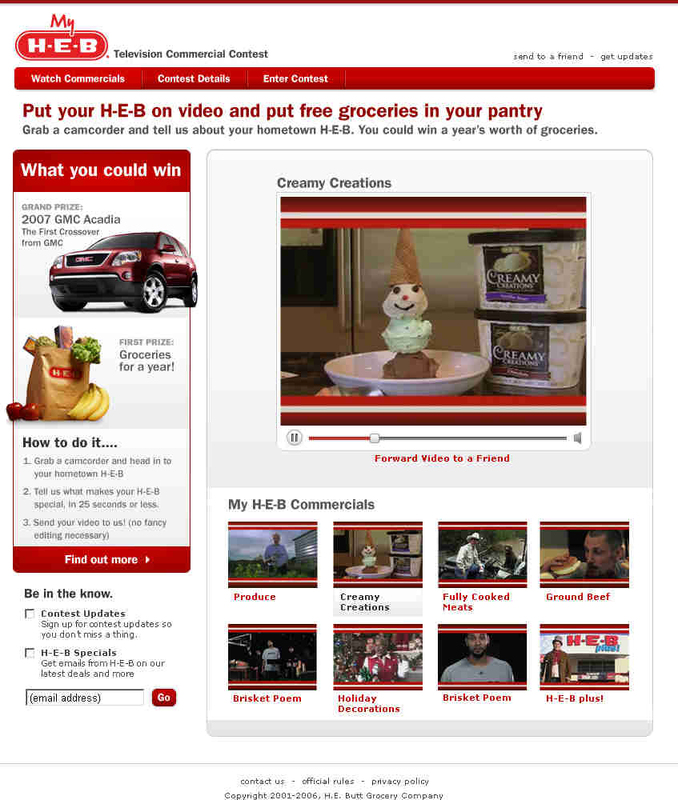 HEB is a regional Texas grocery chain (also owner of Central Market) with a strong following in Texas. I designed a site map for a complete micro site, as well as an email process flow for all responses. I also wrote the all of the above materials. 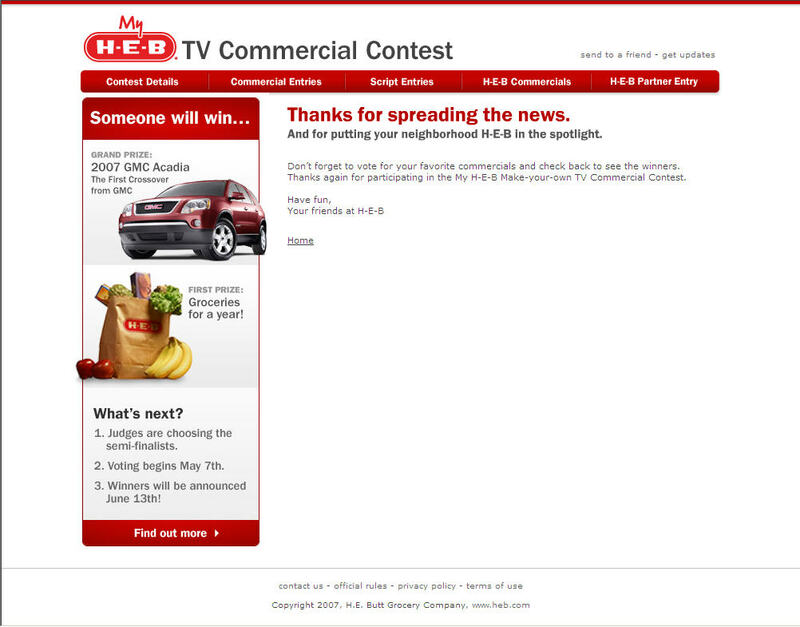 The campaign involved user submitting their homemade HEB commercials, with the winners having their commercial professionally created. It was an extremely high-profile campaign, ending with a super bowl commercial featuring Emmit Smith. The result was overwhelmingly successful, with over 300 homemade commercials submitted. Below is a sample of the videos page on the site. An added “share with a friend” element. Seen here is the email response page.